Ageing consumers make up a large and growing market, which can be served successfully when producers understand and address technology acceptance factors. About a year ago, we tested a tablet for seniors with a 84-year old lady with limited technology experience. At the beginning of the test we told her that the product was specifically intended for seniors who were new to computers. During the test we observed how her interest and enthusiasm grew. Afterwards we asked her if she would want to use the tablet. She answered: “No, I do not need it, but my neighbour might. He is an old man. He is almost 90.” You may recognize this situation. A product that seems to be perfect for an older person, may not be perceived as such by that person herself. When a product does not provide sufficient added value (usefulness) over existing alternatives, seniors will notice, often even before use. Newspaper apps for example, are quite popular among frequent travellers, who may carry a tablet anyhow and who have too little space for reading an ordinary newspaper. However, for people who tend to read the news at home, newspaper apps have limited added value (so far). With respect to ease of use, it is crucial to limit the required cognitive effort to use and learn to use a technology. Have a look at our earlier article on delightful experiences for seniors. 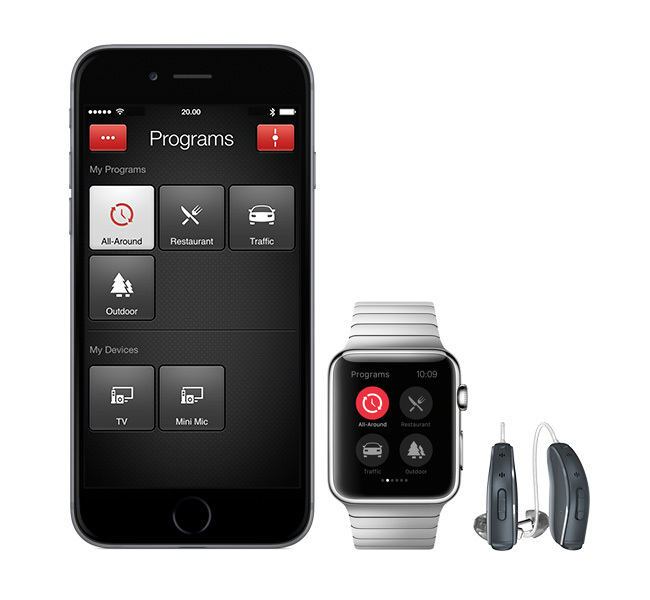 An example of technology that has significant added value over prior solutions, are the smartphone and smartwatch apps to control hearing aids (e.g. 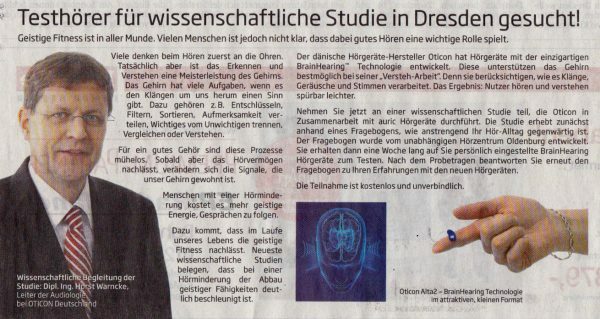 GN ReSound Smart, Oticon ConnectLine). Through the apps, phone calls can be streamed directly to the hearing aids. It is also much easier to select the right program (Restaurant, Traffic, Outdoor, etc.). Moreover, when people can use an app to configure their hearing aids, instead of fumbling with the hearing aids themselves, other people may not even notice that they are wearing them. No matter how useful and easy to use a technology is, when people do not know that it exists, they will not use it. Mobile phones for seniors are well known, but unfortunately many other products for independent living and active ageing aren’t. Certainly, all marketeers and sales(wo)men are aware that awareness is the prerequisite for technology acceptance. Today, numerous companies that have significant experience with selling senior-specific products and technologies still advertise mainly in offline media, such as paper magazines and newspapers. No matter how innovative the technology is, producers should consider if these channels may be more effective in reaching their target users than digital channels alone. Being aware of the existence of a technology is not sufficient. Seniors are less sensitive to hypes than younger people and more experienced in making careful buying decisions. They will question the benefits, costs, and risks, before making an investment. Therefore, producers should demonstrate the benefits in low-threshold, risk-free environments, such as ‘Tupperware parties’, trade fairs, stores, and public places. Seniors should be allowed to try out the products and get their questions answered. An example of a risk-free and joyful event where seniors can get to know technology is the Gazelle E-bike Overstapdagen. 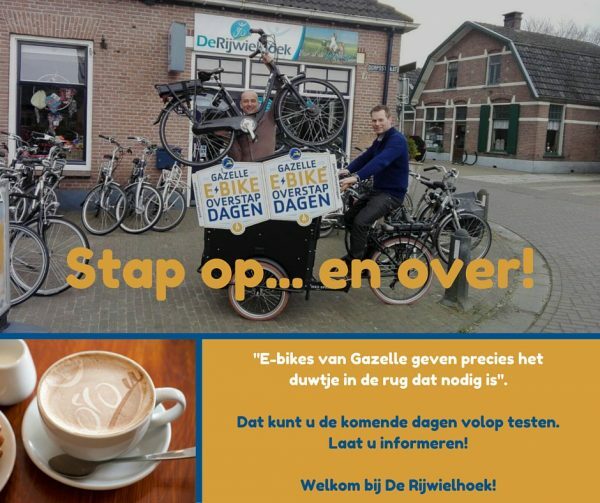 People can try out e-bikes, chat with like-minded people, enjoy free food and being outdoors. Seniors often don’t want to be addressed as seniors and certainly not as fragile or unknowing. Actually, many seniors are not aware that they are seen as ‘old’, because they do not feel old. When a technology’s marketing communications are too explicit about seniors being the target users, it is likely that the product will not be perceived as relevant by the target users themselves. For example, a German webshop with products for seniors, used to have the slogan ‘Ideen für das beste Alter’ (ideas for the best age). Later on, they changed it to the non-stigmatizing ‘Einfach. Smart. Leben.’ (Simple. Smart. Living.) and reported a significant increase in sales. In a similar way, the developer of a tablet for seniors, stopped describing it as such and now uses the terms ‘family tablet’ and ‘tablet for grandparents’. In the first place, seniors want to remain independent, which is – among many other things – about mobility, vision, hearing, dexterity and cognition. They are more afraid to lose their abilities than eager to gain new ones. So rather than advertising for hearing aids based on a new function to stream Spotify music wirelessly – which the potential user may have no interest in – one should advertise with how the hearing aids facilitate the understanding of regular conversations. Some hearing aid producers take this even further by warning for cognitive decline when hearing diminishes. The quality of life of seniors (and people in general) is largely made up of the quality of the social relations that they have. Some technologies, such as video telephony, may support social relations. But others may – mostly unintendedly – replace human contact. Telemonitoring systems for example, are designed to decrease the burden on caregivers. However, at the same time, they may decrease the number of in-person visits that used to be necessary to monitor if the senior is doing well. Therefore it is not surprising that some seniors do not like such technologies. Product managers, designers and marketeers need to be aware that technologies are more welcome, when they enhance social relations. Telemonitoring systems for example, should allow for more bi-directional communication between the senior and the caregiver. People of all ages are sensitive about their privacy and the security of their data (Bitkom Research, 2014 – in German). Especially for people with limited technology experience, it can be hard to oversee the risks. Seniors therefore often need to fall back on their trust. Trust is easily damaged by the negative stories about viruses, spam, fishing, and data theft, which are at the order of the day. The providers of digital technology, such as online banking and social media, should clearly explain which data is collected, how it is stored, and how it can be maintained. Users should also be informed with respect to the risks of use and how they themselves can mitigate those risks. 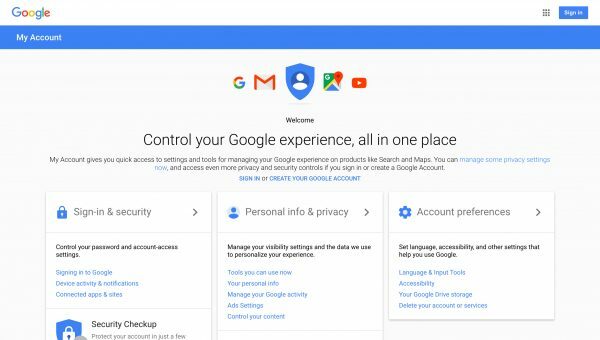 Google My Account is an example of how organizations can make data privacy and security transparent to their users. Google My Account makes privacy and security options more clear. Recently, they made it even simpler: Zembro is only for rent and costs €29 per month. There is no activation fee, no deposit, free shipping, a 30-day money back guarantee, and the contract can be terminated every month. How much more attractive could they make their offer? Apart from call centres, e-mail helpdesks, instruction videos and user manuals, producers can offer in-store training and support. A well known example is the Apple Genius Bar, where customers can make an appointment to get personal help. Many seniors however prefer to receive technology training in a group of up to five people. For those who have not yet started to use a certain product or feature, group trainings may help to convince them of the benefits and to make the learning process more fun. For those who have already started to use the product or feature, it may help to overcome obstacles. There are many local, non-profit initiatives where seniors can learn about technology, such as smartphones and tablets. Producers could facilitate these initiatives by ‘training the trainers’ and providing them with the things they need, such as training materials or video projectors. In many cases, family and friends are an important source of support. Producers can enable this, by integrating functions to configure and control the product or service remotely. 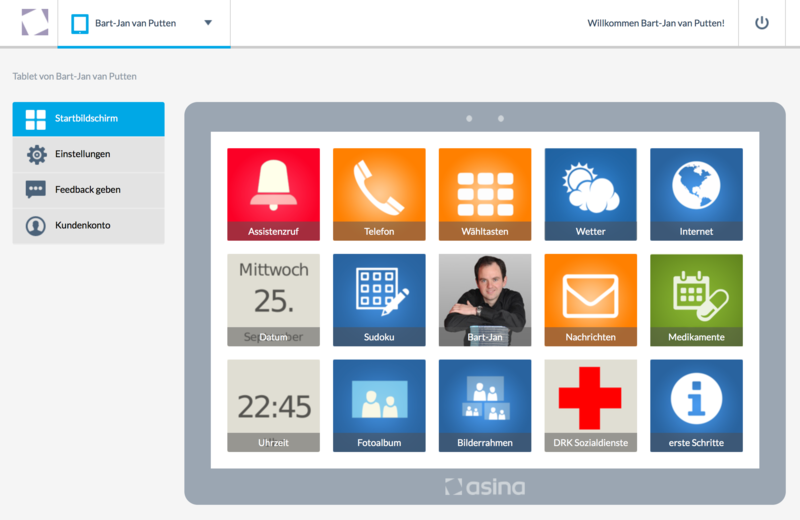 For example, the Asina software and the Oscar Senior software have dedicated interfaces for friends, which saves producers support costs ánd enhances social interactions between seniors and their friends. With ‘Mein Asina’ a caregiver can configure the senior’s tablet remotely. Last, but not least: family members and (informal) caregivers are often the ones who select and recommend technologies. Sometimes, they even pay for them. Therefore, producers should consider to market towards those people, as well as, or instead of, towards the seniors themselves. This includes designing useful functionality. Technologies that offer benefits to caregivers ánd seniors themselves have a much better chance of success than those that only address either one of these groups. On average, seniors may be less eager to buy and use new technology than younger consumers. Nevertheless, they make up a large and growing market, which can be served successfully when producers understand and address technology acceptance factors. In this article we presented 10 ways to improve technology acceptance by seniors. If you would like to incorporate these in the design of your technology, please feel free to contact us. Venkatesh V., Morris M., Davis F., et al. (2003). User Acceptance of Information Technology: Toward a Unified View. MIS Quarterly, Volume 27, Issue 3, Pages 425-478.